Playbill.com has released its update list of Broadway shows scheduled for Broadway and those in the works compiled by Robert Viagas. It’s the best. 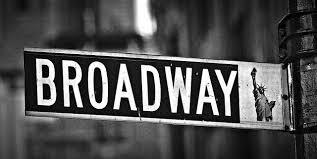 Check out great news about Broadway on their site. Revival of the Tony-winning 2006 coming-of-age musical, performed in this production simultaneously in American Sign Language and spoken English by a cast of 27. Deeley is quite looking forward to meeting Anna, his wife Kate’s friend from long ago. But as the night goes on, Anna’s visit quickly shifts from an ordinary sharing of memories to a quiet battle for power. Original music by Tom Yorke. Holed up in a seedy motel on the edge of the Mojave Desert, two former lovers unpack the deep secrets and dark desires of their tangled relationship, passionately tearing each other apart. Beaten down by ill-fated love and a ruthless struggle for identity, can they ultimately live with, or without, each other? Daniel Aukin’s production premiered at the Williamstown Theater Festival. An elderly couple at a nursing home play an increasingly tense series of gin rummy games as they expose truths about their failures, disappointments and insecurities. Cast: John Bolton, Mara Davi, Danny Gardner, Eloise Kropp, Lesli Margherita and Cary Tedder. Ruby steps off a bus from Utah and into her first Broadway show, but hours before the opening night curtain is to rise, the cast learns their theater is being demolished. So Ruby and the cast, with the help of some adoring sailors, set a plan in motion to perform the show on a naval battleship. Announced in August 2013 for a 2014 Broadway bow. A developmental workshop was held January 2014 featuring Laura Osnes, Rachel York, Mara Davi, John Bolton, Cary Tedder, and Danny Gardner. A Hayes bow was announced June 2015 following Second Stage’s purchase of the theater. The show is a rental and not a Second Stage production. A man adopts a sweet little puppy, Sylvia, only to find that she soon drives a wedge between him and his wife. How can he balance the two females in his life? A revival of Gurney’s 1995 comedy. In this tale of love, lust, betrayal, and guilt, Thérèse (Knightley) has made peace with her loveless marriage to a weak man when her world is turned upside down by Laurent walking through the door. Unable to ignore their passion, the pair sets off on a violent path that may have far worse consequences for the perpetrators than for the victims. The play imagines a future when Britain’s Prince Charles takes over the monarchy from his mother Queen Elizabeth II. After receiving its world premiere at London’s Almeida Theater, King Charles III transferred to the West End, where it played an extended run through Jan. 31, 2015 and won the Olivier Award for Best New Play. The story of two people who — through an unwavering dedication to one another and their pursuit of the American dream — showcased their talent, their music and their heritage to the world in a remarkable rise to global superstardom. Gloria and Emilio Estefan (Estefan Enterprises) are partnering with The Nederlander Organization and producer Bernie Yuman. Mitchell and the further creative team came on board in May 2014. After a try-out run in Chicago in summer 2015, the show comes to Broadway in October at the Marquis Theatre. An epic story of love, war and heroism set during the Japanese American internment of World War II, following the story of the Kimura family in the weeks and years following Pearl Harbor, as they are relocated from their farm in Salinas, California to the Heart Mountain internment camp in the rural plains of Wyoming. Premiered at The Old Globe in San Diego 2012. An NYC industry reading was held May 2013, towards a planned spring 2014 opening. Producers continued to seek an available theater before securing one in February 2015, when they announced an October start at a Shubert theater to be announced (soon confirmed as the Longacre). Set in the world of the Brooklyn waterfront, the play draws a picture of an older man who is unhealthily protective of his pretty niece. Following a hit Broadway run last season at the Marquis Theatre, The Illusionists return for a limited holiday engagement through Jan. 3. Successful romance novelist Paul Sheldon (Willis) is rescued from a car crash by his ‘Number One Fan,’ Annie Wilkes (Marvel), and wakes up captive in her secluded home. As Annie forces Paul to rewrite his newest novel, he realizes she has no intention of letting him go anywhere. The limited engagement will arrive on Broadway in fall 2015. The theater and timeline are still to be announced. Down-on-his-luck wannabe rock star Dewey Finn (Brightman) poses as a substitute teacher at a prestigious prep school to make ends meet. When he discovers his students’ musical talents, he enlists his fifth-graders to form a rock group and conquer the Battle of the Bands. Based on the Pulitzer Prize-winning novel by Alice Walker, The Color Purple follows the inspirational Celie, as she journeys from childhood through joy and despair, anguish and hope to discover the power of love and life. Producers Oprah Winfrey and Scott Sanders’ plans for a fall 2015 revival were reported in 2014. John Doyle’s stripped-down production received critical acclaim in London. The New York post confirmed a fall 2015 run in January, with Hudson signed on to star as Shug Avery. Original London star Erivo joined Hudson and a November start at the Jacobs was confirmed in March 2015. The story of Fiddler – inspired by the stories of Sholom Aleichem – concerns Tevye and his daughters, who are yearning for something new even as great changes are happening in the world outside their village of Anatevka. Producers Jeffrey Richards and Jerry Frankel confirmed in March 2014 to The New York Times that Bartlett Sher would helm this revival on Broadway in fall 2015. Danny Burstein is rumored for the role of Tevye. An October Telecharge Group Sales e-mail revealed that performances will begin Nov. 17, 2015 at a theater still to be announced. Roundabout Theatre Company revives Frayn’s farce. On the verge of death for the umpteenth time, Anna (Linda Lavin) makes a shocking confession to her grown children: an affair from her past that just might have resonance beyond the family. But how much of what she says is true? While her children try to separate fact from fiction, Anna fights for a legacy she can be proud of. With razor-sharp wit and extraordinary insight, Our Mother’s Brief Affair considers the sweeping, surprising impact of indiscretions both large and small. Georg (Radnor) and Amalia (Benanti) are two parfumerie clerks who aren’t quite the best of friends. Constantly bumping heads while on the job, the sparring coworkers can’t seem to find common ground. But little do they know, the anonymous romantic pen pals they have both been falling for happen to be each other. Josh Radnor appeared in a Roundabout gala reading of She Loves Me in 2011. Laura Benanti joins him for this limited Broadway engagement. Whorehouse recounts the good times and the demise of the Chicken Ranch, known since the 1850s as one of the best pleasure palaces in all of Texas…that is until the crusading television reporter Melvin P. Thorpe focuses his cameras and his righteous indignation on the institution. Jerry Frankel and Jeffrey Richards will produce this revival, to be directed and coreographed by Rob Ashford. It is aiming for a Broadway bow in 2015. Patrick Bateman’s days are driven by his obsessive and over-the-top materialism; by night, his mask of sanity slips away as he descends into a chilling indulgence in drugs, prostitution and murder. Made its world premiere in London at the Almeida Theatre January 2014, starring Matt Smith. Was announced to return off-Broadway, with some revisions and an all-new cast. Benjamin Walker, who led the show’s initial workshops, was expected to play Bateman. That Second Stage bow was ultimately canceled when commercial producers Act 4 Entertainment pulled the rights. Act 4 is partnering with Jeffrey Richards to instead bring the show directly to Broadway. Following a January 2015 workshop, audition notices confirmed a mid-February 2016 Broadway arrival was targeted. Cast: Ben Whishaw, Saoirse Ronan, Ciaran Hinds. Sophie Okonedo. Arthur Miller’s political allegory framed as a story about a man falsely charged with witchcraft in colonial, Salem, MA. A fascinating look inside the mind of Andre (Frank Langella), a retired dancer living with his adult daughter Anne and her husband. Or is he a retired engineer receiving a visit from Anne who has moved away with her boyfriend? Why do strangers keep turning up in his room? And where has he left his watch? Produced previously in Paris and London. A backstage musical about the events that led to the creation of the groundbreaking Eubie Blake-Noble Sissle musical Shuffle Along. Good girl Winnie Foster’s world has been safely contained behind the picket fence that surrounds the house she shares with her mother and grandmother. Yearning to break free, Winnie runs deep into the woods behind their house where she discovers the Tuck family and the secret they’ve been keeping. Based on the 2007 film of the same name, which follows a pregnant waitress named Jenna who is unhappily married in the Deep South. She meets a newcomer to her town and falls into an unlikely relationship as a last attempt at happiness. In development since June 2013 with producers Barry and Fran Weissler, director Diane Paulus and songwriter Sara Bareilles. The show had a successful tryout at American Repertory Theatre in Cambridge, MA in summer 2015. Cast: Jessica Lange, Gabriel Byrne, John Gallagher Jr.
O’Neill’s tale of an ordinary summer’s day with extraordinary consequences. Roundabout revives the story of the Tyrone family and their battle to unearth — and conceal — a lifetime of secrets. In the Blue Ridge Mountains of North Carolina between 1923 and 1945, Billy Cane, a young soldier just home from World War II, meets Alice Murphy, the brilliant editor of a southern literary journal. Together they discover a powerful secret that alters their lives. Premiered at San Diego’s Old Globe in fall 2014. Producer Joey Parnes announced in June 2015 that the musical would next presented at the Kennedy Center in Washington in December, and is aiming for a Broadway bow spring 2016. As Marvin struggles to create a ‘tight knit family’ out of his eclectic array of core relationships (including his ex-wife, his new boyfriend, his adolescent son, his psychiatrist, and his neighbors) amidst a series of monumental life changes, he is forced to reckon with his own views on love, responsibility, and what it means to be a man. Producer Jordan Roth, president of Jujamcyn Theaters, announced plans for this revival in February 2015. Casting is underway. The story of James Leeds, a new teacher at a school for the deaf, and Sarah Norman, the school’s one-time star student who has stayed behind as its cleaning woman rather than venturing out into the hearing world. Premiered on Broadway in 1980. It ran for more than two years and won the Tony award for Best Play. Hal Luftig will produce this revival, which is aiming for the 2015-16 season. In 2007, a group of expert dancers was tasked with getting professional basketball’s first ever senior citizen dance team performance-ready. The venue? Center court. The genre? Hip-hop. Over the coming months, bonds would be formed, generation gaps would be crossed, and, eventually, some pretty hot moves would be busted. Producers Dori Berinstein and Bill Damaschke announced Feb 2015 that Gotta Dance, based on the 2008 documentary of the same name, would make its world premiere Dec – Jan at Broadway In Chicago’s Bank of America Theatre. Producers hope Broadway will follow in spring 2016. Written by “Bob & Bill” (Guy Dubuc and Marc Lessard). New musical that will represent the first Cirque du Soleil show assembled expressly for Broadway. Dorothy, a young woman from Kansas, is swept up in a tornado and relocated to a fantasy world that is inhabited by munchkins, witches and flying monkeys. She eventually takes a path down a yellow brick road to find a wizard who can help her go home and along the way meets a scarecrow, tin man and cowardly lion, who all learn to help one another. Announced March 2015 as NBC’s next live television musical event to be broadcast December 2015; co-producer Cirque de Soleil also plans to take the production to Broadway for the 2016-2017 season. In development since 2012. This new work from the team behind Matilda will make its world premiere at London’s Old Vic in 2016, followed by Broadway in January 2017. A man who is unhappy with how his life has turned out at 37 wakes up as his 17-year-old self and is given a second-chance to rewrite his story. A musical adaptation of the film, which starred Zac Efron. Warner Bros. Theatre Ventures is producing and held an industry only presentation March 6th 2015, starring Darren Criss. A musical version of Chazz Palminteri’s solo show, which tells the story of Calogero Anello, a young boy from a working class family who gets involved in the world of organized crime. A developmental workshop was held in August 2014, with new music by Alan Menken (at first David Bryan of Bon Jovi was attached). Dodger Theatricals joined as co-producers. A Feb-March 2016 premiere at Paper Mill Payhouse was announced in February 2015, with Jerry Zaks and Robert De Niro as co-directors. A musical adaptation of the award-winning 2001 film, which starred Audrey Tautou as a shy waitress with a wild imagination. Composer Dan Messé, who penned music for the Shakespeare in the Park production of Twelfth Night with his Brooklyn-based folk-rock band Hem, is adapting Amélie for the stage. A developmental workshop was held in July, led by MacKinnon. World premiere is set for Berkely Rep in August 2015, starring Samantha Barks and Adam Chandler-Berat. A musically gifted orphan runs away from his New York City foster home in search of his birth parents. On his journey, he’s taken under the wing of a street Maestro named Wizard, who discovers his musical genius, names him ‘August Rush,’ and devises a plan to profit from his talent. In development for a possible Broadway future. Producers include Warner Brothers, CJ Entertainment and Richard B. Lewis. A workshop was held Nov-Dec 2014, ending with a closed-door presentation. The workshop starred Ethan Khusidman, Terrence Mann, Isabel Keating, Alexander Gemignani, Mark Jacoby and Will Connolly. Vivacious, outlandish Cee Cee and beautiful, privileged Bertie meet as children and become fast friends. From pen-pals to roommates to romantic rivals, Cee Cee and Bertie’s oil-and-water friendship perseveres through even the most tragic trials. Beaches continues its development with a second regional production at Drury Lane Theatre in Chicago, running June – August 2015. It is aiming for Broadway with producers attached. When Charlie wins a golden ticket to the weird and wonderful Wonka Chocolate Factory, it’s the chance of a lifetime to feast on the sweets he’s always dreamed of. But beyond the gates astonishment awaits, as the five lucky winners discover not everything is as sweet as it seems. The West End production has been running successfully since June 2013. According to the Washington Post, the production will transfer to Broadway following the completion of director Sam Mendes upcoming James Bond film. Shaiman confirmed in an October 2014 Broadway World interview that the show was coming to Broadway in the near future, with some creative adjustments planned. An industry reading was held October 10th 2014. The presentation was produced by Lou Spisto, directed by Mitchell and featured Aaron Tveit, Annaleigh Ashford, Telly Leung, Christopher Sieber and Wesley Taylor. It’s Christmas 1959 in Baltimore and six high school buddies, now in their twenties, reunite at their old hangout, The Fells Point Diner – before one of them ties the knot. Diner first postponed its Broadway opening from April 2013 to fall 2013. Most recently, Sheryl Crow told the Wall Street Journal that the show is now on track with new producers. A staged reading was held in New York December 2013, and a regional premiere ran through January 2015 at Signature Theatre in Virginia. A second regional tryout is scheduled for Delaware Theatre Company in December 2015. Former college friends reunite at middle-age and discover they share the same unhappy story — their ungrateful husbands careened into midlife by dumping them for younger women. The three women band together and take back their lives with style. A June 2014 casting notice confirmed renewed plans for this show, now with Simon Phillips at the helm (Francesca Zambello previously left the project). It premiered at Chicago’s Oriental Theatre in spring 2015, and aims for Broadway in the 2015-16 season. A musical adaptation of the 1976 Walt Disney body-switch comedy. Tom Kitt and Brian Yorkey confirmed at the 2014 Tony Awards that they were developing this show. Ryan Scott Oliver had previously been attached. A January casting notice confirmed a developmental lab for March – April 2015, with Christopher Ashley directing. When introverted, 30-something computer repairman Dan finds a potential spark with outgoing t-shirt designer Lindsay, his attempts at a relationship are thwarted by the Technicolor world in his head. Forget everything you ever knew about Robin Hood. In this reimagining, Robin and his unmerry gang of cutthroats steal from the rich, but it’s never occurred to them to give anything back to anyone. But when wicked Prince John threatens all, bold Marion steps in to protect the poor and transform a thuggish Robin from hood to good. Made its UK premiere at the Royal Shakespeare Company in 2011, and was seen at the American Repertory Theater in 2013. Currently playing a pre-Broadway Toronto engagement. A limited run at the Marquis in the summer of 2015 was postponed, with producers instead hoping to secure a theater for an open-ended run. Ralph Kramden and his buddy Ed Norton are back and still shooting for the moon in this world-premiere musical. After shocking their wives by winning a high profile jingle contest, they are catapulted out of Brooklyn and into the cutthroat world of Madison Avenue. A musical adaptation of Merian C. Cooper and Edgar Wallace’s novella. King Kong had its world premiere at the Regent Theatre in Melbourne, Australia. Broadway plans currently have no set timeline or theater. The New York Times reported in September that director Daniel Kramer and book writer Craig Lucas had departed the project due to creative differences. Marsha Norman has signed on as the new book writer, and Norman revealed in March 2015 that Eric Schaeffer had come aboard as director. A musical adaptation of the hit 2004 film. Tina Fey first confirmed in January 2013 that a musical adaptation was in the works. In May 2014 Fey and her husband Jeff Richmond, who is scoring the show with Nell Benjamin, confirmed that it was progressing. Richmond told Yahoo in March 2015 that 60 percent of the show was completed prior to an expected summer workshop. A musical adaptation of John Berendt’s 1994 best-selling book about the mysterious and eccentric citizens of Savannah, GA. Will feature standards from the American songbook, including the music of Johnny Mercer. Alfred Uhry is writing the book for this adaptation, with Rob Ashford attached as director. In June 2013, the creatives said they were aiming for a fall 2014 out-of-town tryout, with Broadway possibly to follow in 2015. Deadline reports that a reading was held in June 2014 starring Tony Goldwyn and Leslie Uggams, with a September workshop planned towards a London premiere. A stage adaptation of Steven Soderbergh’s film about male strippers. Screenwriter Reid Carolin first confirmed the movie’s stage plans in 2013. At the 2014 Tony Awards, Tom Kitt and Bryan Yorkey confirmed their involvement, and revealed Roberto Aguirre-Sacasa was now book writer. A private workshop was held April 2015 featuring Derek Klena and Taylor Louderman. An American soldier named Chris marries Kim in Vietnam before departing for the US. Three years later, he returns to find Kimstill alive and raising Thuy, a boy he fathered. With the Viet Cong are closing in on the city and two women wanting the only place in his heart, Chris has big decisions to make. Prior to its West End opening, Cameron Mackintosh said the London revival of Miss Saigon might transfer to Broadway in 2015 if it was well received. The revival went on to break box office records. The New York Times reported in September that a Broadway move would not come before fall 2016 for scheduling reasons. An outrageous, epic take on the parallel stories of technology pioneers Bill Gates and Steve Jobs as they blaze a path from garage inventors to warring titans of the computer revolution. First presented by the Philadelphia Theatre Company in 2007. Then played a limited engagement at North Carolina Theatre in 2013. A concert was presented at 54 Below in June 2014. Reps for the show confirmed in September 2014 that the show was aiming for a spring 2015 Broadway bow. These plans did not come to fruition, but an April workshop is being held towards a summer/fall Broadway goal. Keith Reddin (Maybe, Black Snow) will adapt the play from the original 1942 short story, about a housebound man who witnesses a murder in a nearby building. The tale is best known for Alfred Hitchcock’s Academy Award-nominated 1954 film. Producers Charlie Lyons, Lias J. Steen, Jay Russell and Tim Guinee announced this project in June 2013 with no set timetable. A regional premiere is set for Hartford Stage in October 2015. Based on the classic Daphne du Maurier novel, this musical is the story of Maxim de Winter, his new wife, and Mrs. Danvers, the controlling and manipulative housekeeper of Maxim’s West Country estate of Manderley — where the memory of his first wife, the glamorous and mysterious Rebecca, still casts a shadow. The Rebecca team has been granted an extension of the show’s stage rights. Producers Ben Sprecher and Louise Forlenza announced in January 2014 that the show had recruited new producers towards a Broadway goal. Conman Mark Hotton was sentenced to three years in prison in October 2014, at which time Sprecher said he was aiming for a fall 2015 opening. In May 2015 Sprecher claimed a spring 2016 bow now looked more likely. Promising young playwright Will Shakespeare is tormented by writer’s block until he finds his muse in the form of passionate noblewoman, Viola De Lesseps. A stage adaptation of the 1998 Best Picture winning film. Disney is producing this stage adaptation in London with Sonia Friedman, a frequent Broadway producer. London reviews were strong, though a New York Times review was mostly negative. The New York Post reports that the show is aiming for Broadway in the 2015-16 season. The leads are expected to transfer with it. A revival of the musical, which tells the story of the passengers of the doomed luxury liner. This revival, a chamber production, began at London’s Southwark Playhouse in 2013. It was first announced to play a try-out in Toronto before a fall 2014 Broadway bow. However, producers confirmed in May that the production would be postponed due to “a lack of an available theatre,” with a new timeline to be announced. In October a new spring 2015 Toronto premiere was announced, with no set plans to follow. The glamour of Hollywood’s golden age and the glorious, tap-dancing magic of Fred Astaire and Ginger Rogers comes to the stage in this classic dance musical. Premiered on the West End in 2013 in an earlier version, directed by Matthew White and choreographed by Bill Deamer. The first New York developmental lab was held in March 2014 – Gattelli now directs and choreographs. It was reported in August 2014 that Tommy Tune had been approached to re-envision the new version for New York audiences. A second lab was held May – June 2015.